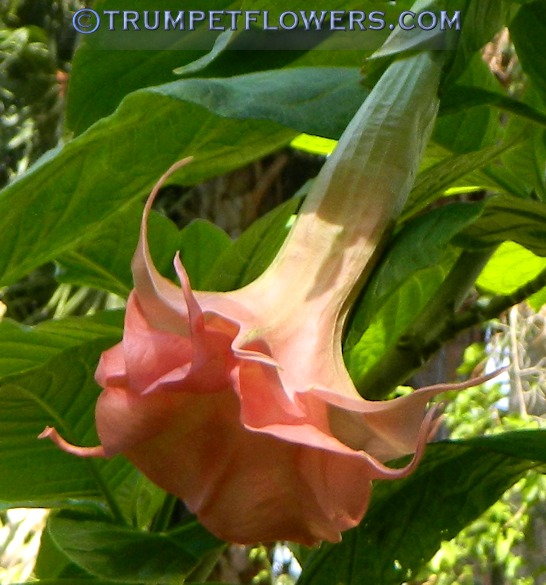 Brugmansia Joli is a (can be) very deep colored warm group angels trumpet. At some times of the year, the blooms are on the edge of red. 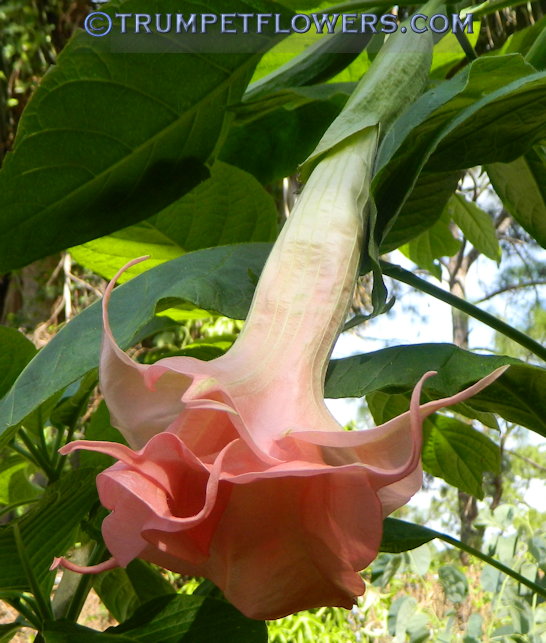 European cultivar by Hybridizer Anne Kirchner Abel. Candida bloodline. Published 2006. 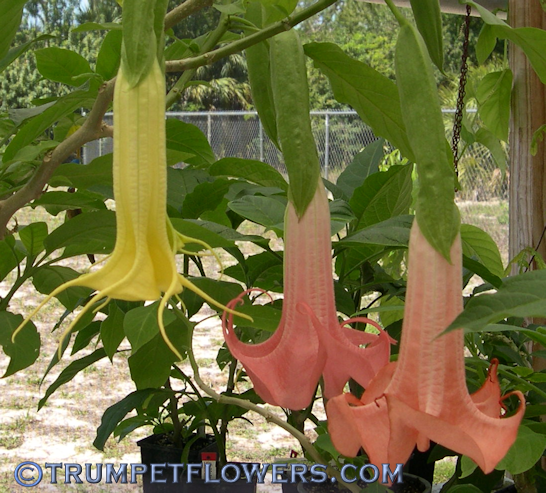 Angel Trumpet Joli throwing single blooms. 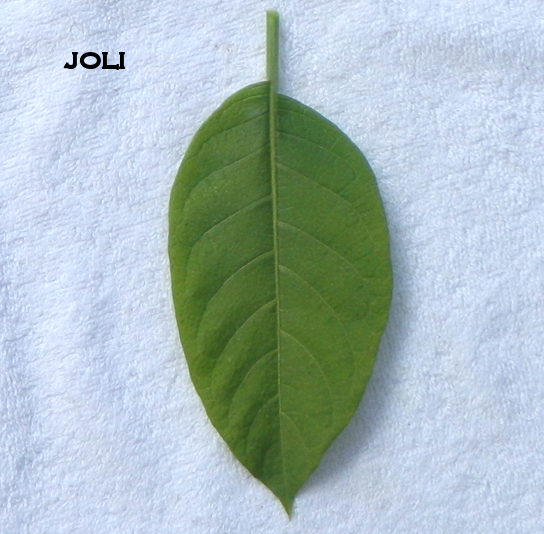 Joli can throw doubles and singles at the same time, but at least in my case, is usually a single bloomer. Isn&apos;t it beautiful that all the blooms are of a different color? The yellow is the newest, and the blooms deepen as they age. Lovely! Joli blooming on a cool December morning. 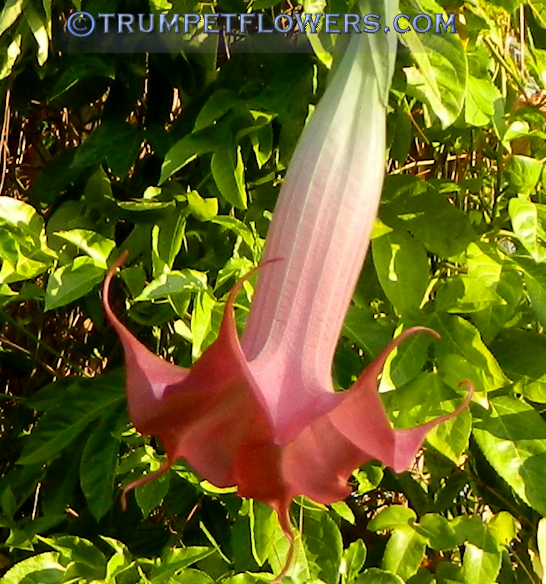 The leaf of Brugmansia Joli is slightly oblong, and has a smooth leaf surface with a leathery feel to it.